Italian composer and multi-instrumentalist Luca D'Alberto presents his second album for Studio K7's highbrow imprint 7K!, established as a home for the label's ambient and neo-classical concerns. 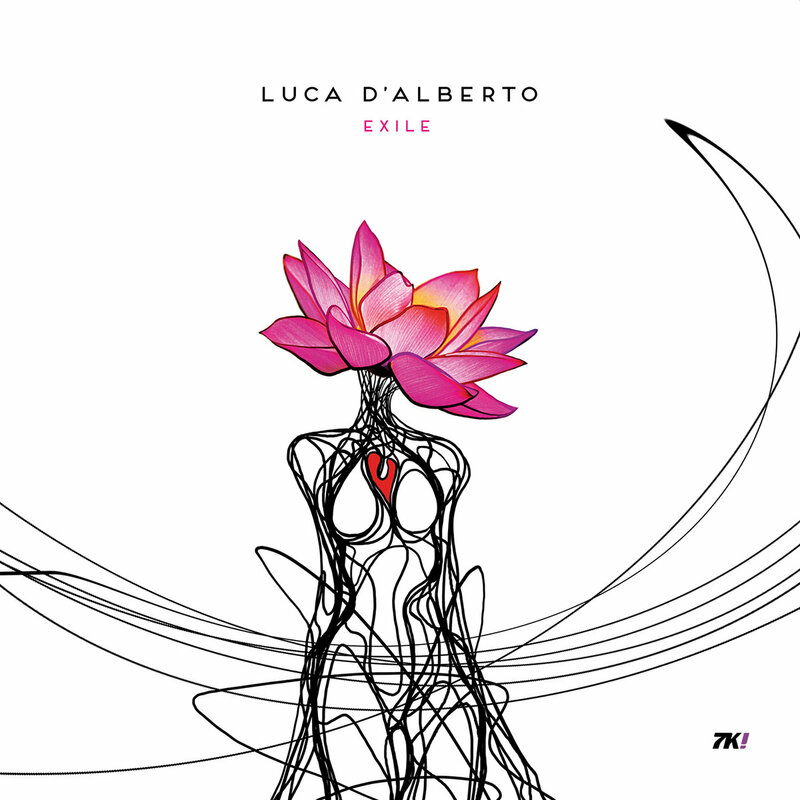 'Exile' falls mostly into the latter camp, a complex canvas of textures, strings, piano and electronics. He's played everything himself here, which is a sterling achievement. The title refers to the fact that he cut himself off while making it, “my desire to be present in my music, independent of others and using all my own strengths and limitations”. As such, it's a frequently intense – if occasionally a little earnest – experience. 'Like We Were', which deigns not to hide the sounds of its moving piano keys and mallets, feels rawly emotional, later bolstered by thick layers of swelling strings. 'Pianodiscoteque' also combines the lo-fi vibe of roughly recorded keys, the sounds of the studio audible in the background, bringing with it a strange, unsettling urgency. Album closer 'Love Song', with its bells and tubes, giving way to grand arpeggiating strings, is dizzyingly accomplished. This isn't ambient or classical music to have washing over the background, it's involving and vital.